June Stats - 9683 Pageviews from 4639 unique visitors. Our most visited index pages, in order of popularity were: INDEX - NEWSLETTER 112 - ACCOMMODATION - INFORMATION - BUSINESSES - CLASSIFIEDS - ATTRACTIONS- SHOPPING - ENQUIRY - TIRAU - NEWSLETTERS - NEW LISTINGS. What makes your business/service/products unique? How are you different to your competitors? Do you offer giveaways or competitions? Are there any news or stories about the people in your company or your products or services? Think about creating pages on your website that deal with that content so that other websites can link to these pages. Inform bloggers about your competitions or giveaways and let them review your products. Are you a member of a business association? Has your company or your services/products received any awards? What are the influential bodies for your industry? Check if the websites for these organisations link to your site and try to find new business associations that are complimentary to your business and request backlinks from them. 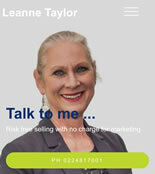 Offline relationships that you have with other businesses, people and publications can often be turned into online relationships that include links to your website eg. a business that supplies products or services to your business should be able to persuaded to link from their website to yours. If you like the product of a company, send them a testimonial and let them know that they can publish it on their website providing they link back to your website. Which websites, forums and networks are used by your customers? These websites and forums are the sites from which you should get links. Does your company sponsor any local activities? Does your business support charities or relief organisations? If you do, you can request direct links from the organiser of the activity and you can create linkworthy content on your website by writing about your activities. Analysing the websites that already link to your website can help you to get an idea of the linkworthy content on your website. You will also learn why other websites link to your site. 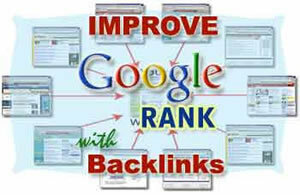 If you have a Google account, free backlink information is available. There are also many independent sites that offer free website backlink reports such as, http://www.backlinkwatch.com/index.php , but be prepared for annoying pop-up advertising etc. Conclusion: It is imperative that your website gets as many good backlinks as possible to help your website to rank well on the world's most influential search engines and the 7 suggestions above will help you achieve this. They receive an enormous amount of visitors and are extremely well ranked in the top search engines - if you're not there you're missing out !! All you have to do is forward us 25 words about your business - a breeze surely !! Your classified advertisement will be linked to your website and can also have an email link on it if requested.